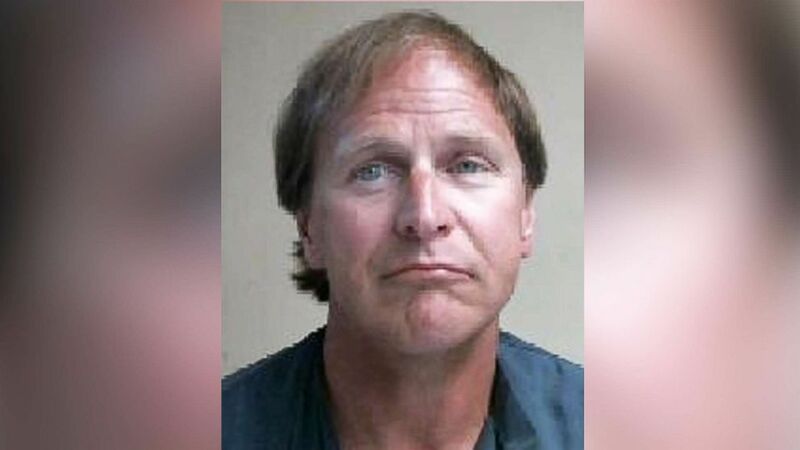 Alexander Christopher Ewing, 57, is already serving time for attempted murder. Authorities have used DNA to link four cold case murders from 1984 in Colorado to a man already serving time for attempted murder and deadly assault charges in Nevada. Prosecutors from Arphahoe and Jefferson Counties as well as the Colorado Bureau of Investigation Director John Camper announced Friday that investigators used DNA matching to connect four brutal murders in the state -- including a home invasion that left three family members dead -- to 57-year-old Alexander Christoper Ewing, who is currently in the custody of the Nevada Department of Corrections. Authorities were able to obtain DNA from Ewing after a change to a Nevada state law that previously prohibited it, Camper said in a news conference. 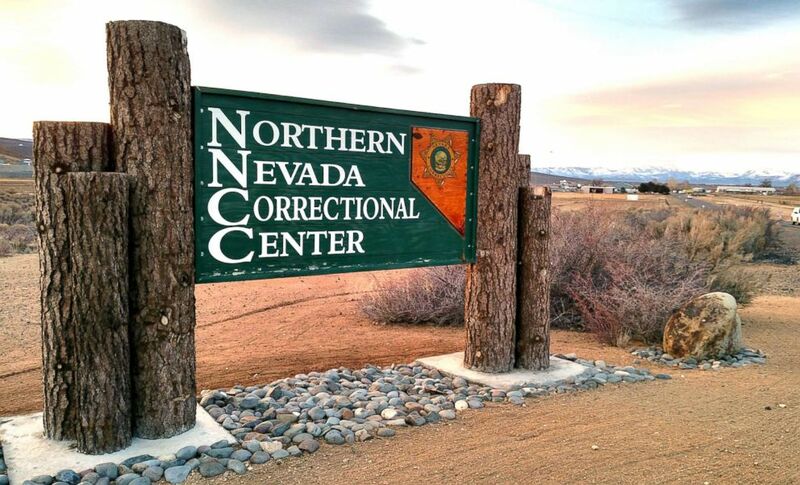 (State of Nevada Department of Corrections) A sign for Northern Nevada Correctional Center is pictured in this undated photo from State of Nevada Department of Corrections website. On Jan. 10, 1984, a man entered the home of 50-year-old Patricia Louise Smith in Lakewood, Colorado, and sexually assaulted and bludgeoned her to death, The Denver Post reported. Six days later, a man armed with a hammer and a knife entered the Aurora home of Bruce and Debra Bennett and bludgeoned the entire family, killing three members, according to The Post. The killer also sliced Bruce Bennett's neck, raped Debra Bennett and the couple's 7-year-old daughter, Melissa Bennett, The Post reported. The couple's youngest daughter, 3-year-old Vanessa, was beaten in the head and face but survived. Bruce Bennett's mother, Connie Bennett, stumbled upon the gruesome scene the next day and found her granddaughter alive, according to The Post. The family had just celebrated Melissa Bennett's birthday, The Post reported. DNA evidence from the scene of the Bennett case was first uploaded into a database in 2001, Arapahoe County District Attorney George Brauchler said. Almost a decade later, in 2010, the Colorado Bureau of Investigation was able to develop a DNA profile from Smith's murder and found that it matched the DNA in the Bennett case, Brauchler said. A few weeks ago, the state of Nevada uploaded Ewing's DNA to the FBI's national database, and a match with the Smith and Bennett cases came the next day, Camper said. Smith faces three counts of felony murder and two counts of violent crime in Jefferson County in connection with Smith's death, Jefferson County District Attorney Pete Weir said Friday. Formal charges are expected to be filed next week. "Justice has been delayed, but justice is not going to be denied," Weir said, adding that it's possible that Ewing could face the death penalty in Smith's murder. Former Arapahoe County District Attorney Jim Peters had obtained an arrest warrant for a John Doe in the Bennetts' murder cases based on the DNA, charging the unknown killer with 18 counts related to the massacre, including six counts of first-degree murder, Brauchler said. It is unclear when authorities will reach a resolution in the Bennett case, Brauchler said. The prosecutors will file paperwork asking Colorado Gov. John Hickenlooper to extradite Ewing from Nevada. The state of Colorado is urging all states to pass laws to obtain DNA from incarcerated inmates to help solve cold cases, authorities said. "Every state has unsolved cases," Brauchler said. "... Do this for the victims that have gaping holes of crimes that have not been solved." Ewing is already serving a 40-year prison term in Nevada for two counts of attempted murder and two counts of assault with a daily weapon, according to The Post. Several months after the Colorado murders, Ewing entered a home in Kingman, Arizona, through an open door and attacked a man nearly to death with a 20-pound boulder, The Post reported. (Nevada Department of Corrections) Authorities have used DNA to link prisoner Alexander Christopher Ewing, 57, to four cold case murders in Colorado. Ewing was later arrested by Kingman police on charges of attempted murder, and on Aug. 9, 1984, while being transferred for a trial hearing, he escaped the jail van when it stopped at a gas station for a restroom break, according to The Post. Ewing then ran into a K-Mart and changed clothes and later that night entered a home in Henderson, Nevada, armed with an ax handle and attacked the couple living there, The Post reported. Ewing was eventually captured two days later after a massive helicopter and foot search, according to The Post. He was convicted by the 8th District Court in Las Vegas in 1985 and is being housed at the Northern Nevada Correctional Center in Carson City, prison records show.